Now that Marilyn and Phil understood why Marigold was so hard to manage, they met with Ellen, Marigold's sponsor. After some small talk, Marilyn opened with, "So we think that the problem with Marigold might be that the team is too spread out. Between our site, Wellington, and Europe we've got too many time zones. We can't even find meeting times — someone's always asleep." "I'm not surprised," Ellen said. "I wondered about that from the beginning." That got Phil's attention. "Wait, I thought you warned us against hiring locally. You said we'd never get approval in time, so we went with the Wellington people, even though they're 2000 miles away." "Yes, true, I did warn you. But I think I said it would be 'a neat trick' getting the approval. All I meant was that you might need my help. I thought it would at least be worth a try." Marilyn tried to smooth things out. "So you actually preferred a local team, but you went along with our Wellington idea because we seemed willing?" behaving sensiblyCooling off, Phil began to understand. "And we were trying to do what we thought you wanted." Marilyn added, "A gifts-of-the-magi kind of thing," referring to the story by O. Henry. "More like a trip to Abilene," Phil answered. Phil is referring to an insightful work by Jerry Harvey, The Abilene Paradox , which describes how a group can commit to a course that no member favors. In a trip to Abilene, nobody feels that the group is behaving sensibly. Because they all feel that everyone else favors the group's choice, no one questions it. The group then takes action that no one agrees with. How can you tell when you're on a trip to Abilene? And what can you do about it? Noticing your own reservations can be difficult. Practice by privately rating your own concurrence with group decisions as Low, Neutral, and High. When you do notice that you're uneasy with a group decision, express your doubts, and ask specific questions. For instance, Ellen could have said, "I'm uneasy with the Wellington idea. How will we deal with the problems of managing them remotely?" Take care, though. In some settings critical inquiry can be seen as negative or non-supportive, even though it's almost always healthy and helpful. 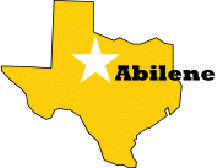 Whenever a team makes a decision of any kind, it's wise to check for trips to Abilene. Try asking, "I'd like to check: are we on a trip to Abilene?" A chorus of No's isn't a guarantee, but asking the question often works. Read more in a wonderful book by Jerry B. Harvey, The Abilene Paradox and Other Meditations on Management . San Francisco: Jossey-Bass, 1988. Order from Amazon.com. See also "Staying in Abilene," Point Lookout for August 14, 2013, and "Virtual Trips to Abilene," Point Lookout for March 4, 2015. Would you like to see your comments posted here? rbrenVuTZTsiXJtPKNbLaner@ChacumBMwrRMPZVzRAWWoCanyon.comSend me your comments by email, or by Web form. When a goal remains unaccomplished, we sometimes tell ourselves that we understand why. And sometimes we do. But at other times, we're just fooling ourselves. One of the "truisms" floating around is that "You get what you measure." Belief in this assertion has led many to a metrics-based style of management, but the results have been uneven at best. Why? Setting priorities for tasks is tricky when we find the tasks unappealing, because we have limited energy for self-control. Here are some strategies for limiting these effects on priority setting. Making good decisions quickly is extremely important in dynamic, rapidly-changing environments. Because the Abilene Paradox can so easily interfere with sound decision-making, understanding the paradox can be most helpful in such situations. My program, "Managing in Fluid Environments," explores de in situations where cision-making in such situations, where changes come along at such a rapid rate that the next change arrives before we reach the "New Status Quo" of the changes we're already dealing with. More about this program. Are you planning an offsite or retreat for your organization? Or a conference for your professional society? My programs are fresh, original, and loaded with concrete tips that make an immediate difference. rbrenIVWBCftSAjsLaazxner@ChacvKctsEYHcfhlCAdPoCanyon.comContact me to discuss possibilities. I offer email and telephone coaching at both corporate and individual rates. Contact Rick for details at rbrenyTjlHIixPaGjHQzfner@ChacHxMuDFbrpPopIUkVoCanyon.com or (650) 787-6475, or toll-free in the continental US at (866) 378-5470. More articles about conducting and participating in meetings!